Pro tips to warm up your home for winter. With the winter chill fast upon us, it’s the perfect time to be proactive and prep your home to save on your energy bills. While there are dozens of things you can do to get your home ready for winter, we’ve trimmed down the list to a few simple and highly effective steps. Change your furnace filter. This simple action is cheap, quick and serves a double purpose: enabling a more efficient, cost-saving flow of air through your home, and filtering your home from airborne bacteria, mold, viruses and pollen. With your windows sealed tight during the cold months, the quality of your indoor air can make a vast difference. For best results, avoid fiberglass filters and seek electrostatic and HEPA filters. Turn down your water heater and thermostat. Most water heaters are set to 140º F—an often-needless amount of heat that converts to steam you don’t use anyways. Lower your water heater to 120º to reduce your costs by as much as 10%. Want to lower energy bills even more? Lower your thermostat. For every degree you go down, you can save an additional 3% on your monthly heating. Bypass high thermostat temps by wearing your favorite sweater instead—and the results will show. Tax credits are everywhere. You could enjoy federal tax credits up to 30% when you do things like upgrade your insulation, install energy-efficient windows, or install an energy-efficient furnace—just to name a few. Contact a construction contractor for further advice on special offers that you can utilize. You’ll also be insulating your wallet in the process. Install storm doors and windows. A new storm door can increase energy efficiency by more than 40%. And storm windows are no different in their effectiveness against cold winds. As you know, poor-quality windows and doors can become a freeway for cold air, which zaps your heat efficiency. A contractor can tell you the best options available. Insulate your water pipes. Wherever your water pipes are warm to the touch, insulation is likely needed. Insulating your pipes not only serves as a preventative measure for pipe bursts, but also reduces the cost you pay for hot water. Ask a local hardware store for pipe insulation that you can install yourself—quickly and painlessly. You can also receive federal tax credits in the process. Find a solid contractor. When it comes to fortifying your home for winter, nobody helps to better prepare you, answer your questions, or audit the energy use of your home like a good construction contractor. 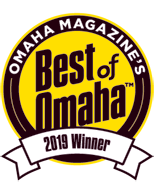 In addition to serving homes in Omaha and surrounding areas for decades, Total Construction has received the 2015 Better Business Bureau Integrity Award. Whatever your needs, or your queries, we’re here to help. With the winter freeze fast upon us, there are several opportunities to warm your home easily, effectively, and practically everywhere you look. Here are just a few simple steps to convert your home into a cozy, cost-saving, winter-warding fortress. As we know, cold air will find its way into the home however it can—wasting 5% to 30% of your energy use. With the autumn’s falling temperatures, now’s the perfect time to locate those pesky drafts and stop them before the true freeze kicks in. So take a walk throughout your house and spot where the drafts are coming in. Some you’ll feel immediately; others you can detect by lighting an incense stick. You can seal basement seams and cracks with caulk, window seams with plastic insulation kits found at your local hardware store (they’re invisible to the naked eye once applied), and the bottoms of your doors with weather stripping—or even rolled-up towels. Wherever there’s a draft, there’s definitely an option available to dam it up. 2. Look for available tax credits. You’d be surprised how many energy-efficient upgrades to your home will not only save you money on your bills, but reap in tax credit from the government. Among the many options that could get you cash back simply for having them installed or updated include: Storm doors, windows, water heaters, furnaces, programmable thermostats, insulation and more. When your home is equipped with the proper energy-efficient components by today’s standards, you’ll be rewarded for it in more ways than one. 3. Reverse your ceiling fans. Most ceilings fans come with a handy switch that makes them spin clockwise instead, which recirculates the rising hot air back down into your living space. This simple trick can cut your heating costs as much as 10%. 4. Change your furnace filter. It’s important to change your filter once a month to prevent unhealthy airborne particles from infesting the home. There are even modern permanent filters on the market today that can remove up to 99.97% of particles in the air. 5. Shut off or empty your A/C and outer water lines. Drain any outdoor hoses, remove them, and stow them neatly for next season; shut off the water supply to your outer hose bibs (locate the twist valves on your water pipes near the outer walls of your home to do this); drain any air conditioner pipes and make sure water isn’t pooled in equipment that could potentially freeze. Sounds odd, but a well-insulated attic, especially when done by professional contractor, should actually maintain a cold temperature. Why? If poorly or improperly insulated, your attic will absorb unwanted heat from the home below, which can warm layers of snow on the roof in a stovetop effect. 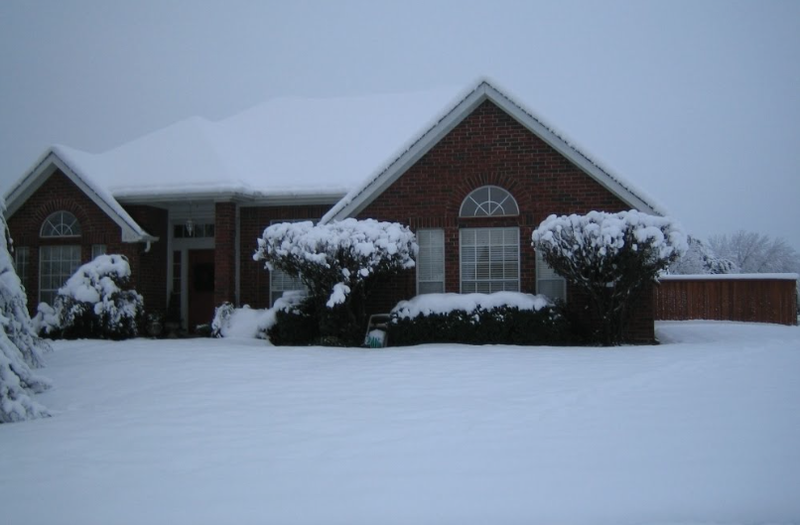 This can lead to untimely melts and ice dams forming near the gutters. Which brings us to the next step. With falling leaves now accumulating atop our homes, now’s the time to clean them out from the gutters. Whether it’s done personally or professionally, cleaning gutters will allow for the proper flow of meltwater away from your home, rather than collecting and causing ice dams, leaks, or potential damage to your roof. 8. Give your furnace a tune up. To ensure your furnace runs efficiently and flawlessly all season long, call your heating company for a tune-up and maintenance check. The earlier you call the better as colder weather leads to busier schedules for technicians. A light sweater can make you 2 degrees warmer. A heavy sweater? Four degrees. And let’s not forget our blankets. The old-fashioned power of layering, obvious as it seems, will help us resist the temptation to adjust the thermostat or make any impulsive decisions that could be otherwise avoided. 10. The most failsafe option of all: Call a certified professional. A certified contractor can perform the most thorough energy audits for your home, provide the most thorough, timely advice and address every cold weather situation with veteran experience. There’s no substitute. Sure, most attics are just dark and unlivable spaces, so it’s easy to overlook their importance. But when given modern-day maintenance and insulation, these vacant areas of the home are actually packed with potential to keep your roof, siding and other components free of problems in the cold months—while saving you additional money. Why a “Cold” Attic is a Good Attic in Wintertime. Sounds odd right? But interestingly enough, a well-insulated attic or “cold” attic in the wintertime does its job by keeping warmth where it belongs: in your living spaces below. If poorly or improperly insulated, your attic will absorb unwanted heat, which can warm layers of snow on the roof in a stovetop effect. The result: Untimely melts and ice dams forming near the gutters—in other words, water that can creep underneath shingles and enter your home. Water loves to find a way in wherever it can, but an insulated attic is a great way to keep it out. Early fall is the best time. Attic insulation is just one of several professional pointers in our series of fall home maintenance tips yet to come—some widely known, some lesser known—and a great way to face the approaching cold months head on. As always, if you have any questions or issues regarding repair, roofing, remodeling or any seasonal adjustments to your home, call a licensed contractor. And keep an eye out for more tips in future blogs!